YouTube is adding the ability to save videos to your phone so you can watch them offline in an upcoming mobile app update. While you'll be able to watch videos without an internet connection with the update, although you won't be able to keep them indefinitely. 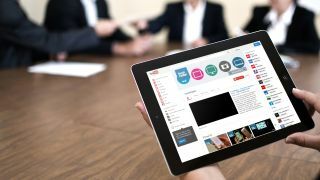 Writing on the YouTube Creators blog, which is aimed at its partners and pro video creators, YouTube's team explained that the feature "will allow people to add videos to their device to watch for a short period when an internet connection is unavailable". How long exactly that "short period" is remains to be seen. It suggests that YouTube is getting serious on music streaming as it looks to shore up to Spotify and iTunes Radio - last year a survey suggested that 64% of teens in the US use YouTube to listen to music. Still, at least it means you'll be able to watch Miley hump demolition equipment or a man huffing cinnamon powder while you're out and about without interruption. OR, of course, you could spend your commute catching up with TechRadar's tip top tech videos. We're very professional.